“From family to fishing, or charter to resort transport”. 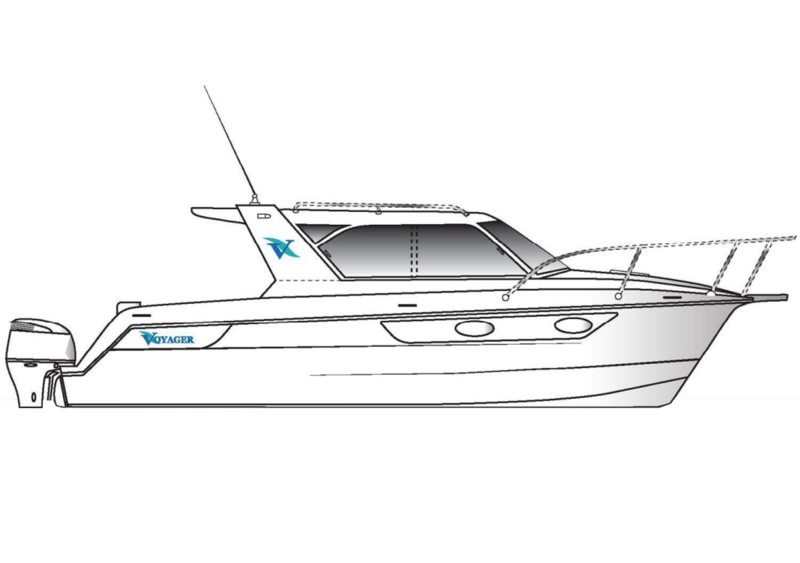 The ‘V930 Series’ is a high speed planning design available in open ‘Sports’, or enclosed ‘Express’ configurations. It features accommodation for 4 to 5 people while the helm, galley and dinette are all on the one level flowing out into a large open cockpit area. The high clearance tunnel combined with a fine entry and internal chines gives a superb rough water ride and fitted with outboard engines from 150 to 250 hp, it can exceed 40 knots.